As today’s children spend less time outside than any other generation, they’re missing out on some of the awesome experiences that nature has to offer. It shows in their health, too: the CDC report rising childhood obesity levels, and mental health charities are seeing increasing numbers of young people with anxiety and depression. So how can you encourage your child to embrace the great outdoors and pick up valuable life lessons along the way? The answer may lie under canvas. 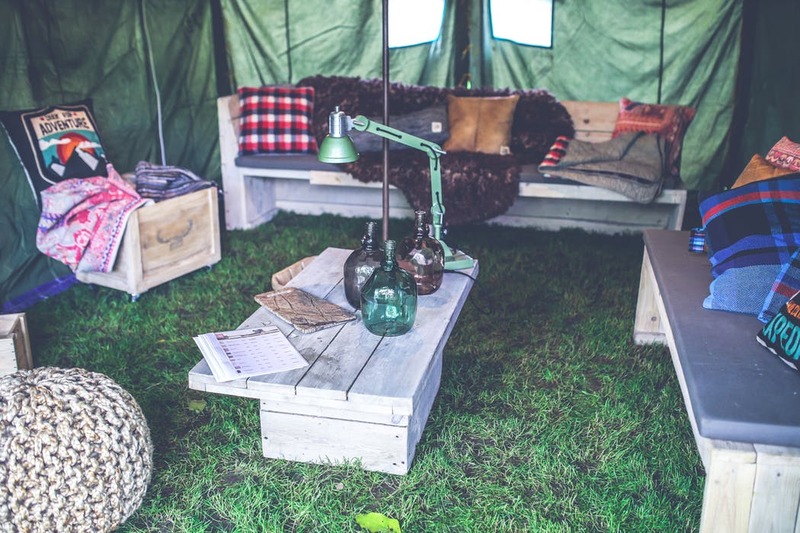 A simple camping trip can be an affordable way to enrich and support your kids’ academic development whilst also offering an opportunity for the whole family to reconnect. It may even help you reset the balance in your own life too. With advances in technology and an increased focus on academic results, some of life’s basic practical skills are disappearing from homes and campuses; did you know that 60% of people can’t change a tire? Camping, in contrast, celebrates the practical side of life. Away from spelling and math tests, encourage your kids to shine by being resourceful and hands-on. See who can invent the most useful family camping hack, encourage them to check their own bikes, praise a creative solution to an unexpected problem. A non academic child may flourish in an environment where practical skills are highly prized. It could even inspire and set them on a more practical career path which they might never have considered inside the walls of a classroom. In a world in which 49% of children play videogames or watch TV in the hour before bedtime, it’s fair to say that teamwork skills are probably practised more often than not through multiplayer online games than the traditional methods parents may be used to. Whilst there can be a value in these new learning experiences, camping allows for crucial face to face communication and problem solving. Family members of any age can pool their ideas and skills, and learn to appreciate each other’s talents. In this way, camping can really help to build confidence; even the smallest pair of hands can be valued by making a contribution to the team. Studies have found that being outside can make kids smarter, happier and more attentive. Pack walking boots or wellies and let them crunch through leaves, make mud pies or listen out for birds. Inspire their creative side by taking sketch pencils, a cheap camera or a bag to collect objects for a collage. If your child or teenager plays an instrument, let them take center stage by the campfire. Camping offers a unique opportunity to connect with each other, away from peer groups, phone chargers and wifi. Seize the moment to tell those old family stories and make some new memories together. Today’s children live in a 24/7 culture, where they need never be bored. Tablets and mobile phones can provide instant answers and entertainment at the push of a button. The result? Patience is no longer practised. Where children used to have to wait until their favorite TV programme was on, or to go to library to research the answer to their question, there’s now TV on-demand and Google. While technology seems to make life easier, a study from the National University of Singapore has found that impatience affects our health, even accelerating ageing in women. Stepping into nature on a camping trip teaches children (and parents!) the value of waiting. The search for the best dry wood for the fire, sitting quietly to watch for beautiful birds, or playing card games in the tent until the rain stops; nature won’t be rushed, and that’s a great thing. This entry was posted in Kids Games.